Author: Not stated but traditionally attributed to Moses. Date: Approximately the mid-1400s BC. In Ten Words or Less: A holy God explains how to worship Him. 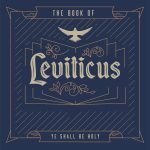 Details: Leviticus, meaning “about the Levites,” describes how that family line should lead the Israelites in worship. The book provides ceremonial laws as opposed to the moral laws of Exodus, describing offerings to God, dietary restrictions, and purification rites. Special holy days - including the Sabbath, Passover, and Day of Atonement (Yom Kippur) - are commanded. The family of Aaron, Moses’ brother, is ordained as Israel’s formal priesthood. Leviticus lists several blessings for obedience and many more punishments for disobedience. A study in Leviticus 26-27 from our Midweek Service at Harvest Fellowship with Pastor Paul Mowery. A study in Leviticus 19 from our Midweek Service at Harvest Fellowship with Pastor Paul Mowery. A study in Leviticus 17-18 from our Midweek Service at Harvest Fellowship with Pastor Paul Mowery. A study in Leviticus 15-16 from our Midweek Service at Harvest Fellowship with Pastor Paul Mowery. A study in Leviticus 13-14 from our Midweek Service at Harvest Fellowship with Pastor Paul Mowery. A study in Leviticus 11-12 from our Midweek Service at Harvest Fellowship with Pastor Paul Mowery. A study in Leviticus 8-10 from our Midweek Service.